How Spy App Can Help You Strengthen Your Relationship - GoodGuysBlog.com - New, Technology, Marketing, Health and So on. Are you suspicious of your spouse having an extramarital affair? You do not need to hire a spy agent to expose your erring significant other or clear your suspicions. Having a discussion with your partner to resolve ambiguities or misunderstandings can be helpful but it is not worthwhile in some cases. Your partner may laugh at you or deny all your doubts with evasive replies increasing your uncertainties. Under this situation, you can take the support of the mobile phone spy app. You can keep an eye on almost all the activities of your partner performed on his mobile phone and get enough evidence of his innocence or infidelity. Once you install the spy app on the mobile phone of your partner, all the data stored on the phone gets uploaded to an online account including messages, contacts, call logs and photos. Resultantly, you never need to ask for his phone to check the inbox or call logs. The android spy app works with complete secrecy and does not leave any clue of spying. It neither generates any sound or notification on the target phone and the app icon is also concealable. It means your partner will never know that you are spying on him owing to the doubt of having an illicit relationship with someone. This unfamiliarity will be beneficial in both cases. If the partner is innocent, he would not know you doubted and tracked him making it convenient for you to revive your relationship. And if your partner is guilty, he would not be able to hide the clues of his misconduct. The key is to detect truths without letting anyone know about your quest. The spy app provides you with enough evidence against or in favor of the suspect. It accesses the messages received and sent by your partner providing you with the content of those messages as well as the name and phone number of the sending/receiving parties. You can also see the time and date of sending/receiving each message letting you get a glimpse of the messages exchanged late at night. Even the messages deleted from the monitored phone can be read with the spy app. If your husband is involved with someone out of your knowledge, these messages will help you know what he is up to. As well as messages, the spy app lets you monitor all incoming and outgoing calls of your spouse. You can record all these calls and download the call recordings on your own phone. The call logs provide you with the detail of call time, duration and name and phone number of the caller/receiver. It means the private calls of your partner are no longer private. If your partner is in a relationship with someone else, his phone calls will definitely expose his relationship. The spy app also empowers the user to track the social media and instant messaging apps used on the target phone. You can monitor almost every activity of your partner on the popular social networking platforms and instant messaging services such as Facebook, Instagram, Snapchat, WhatsApp, Line, Kik, Tinder, WeChat and more. You can read all the messages, photos, videos and audios your partner exchanges through these apps. His friends and followers list reveal who is in his social circle. Also, you can monitor his social media posts, comments, likes and get a sneak peek into the profiles of people of your partner’s interest. 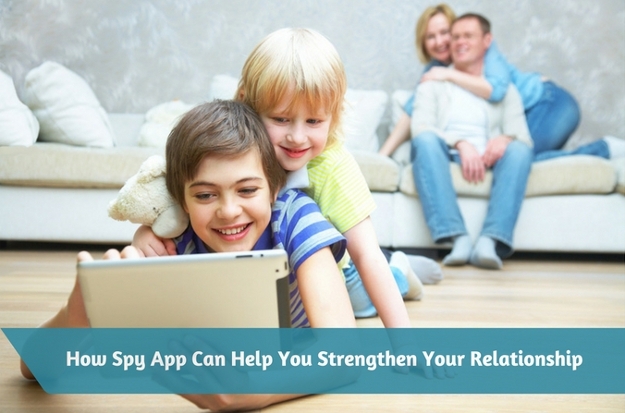 The spy app provides scores of features to monitor your significant other. It lets you know if your spouse is involved in any wrongdoing or has an illicit relationship with someone. But if you do not find any hint of infidelity, it will be more convenient for you to clear your doubts and strengthen your relationship.